. 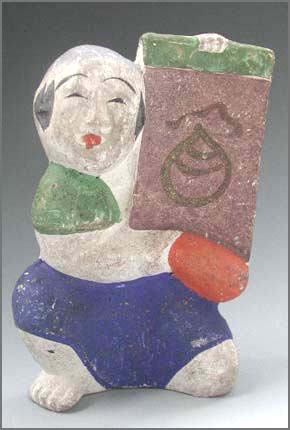 Niigata Folk Art - 新潟県　. was an independent province until 1871; since then, it has been a part of Niigata Prefecture. Sado was famous for its gold and silver mines. 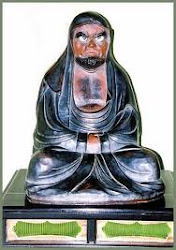 In the Kamakura Period, the province was granted to the Honma clan from Honshū, and they continued to dominate Sado until 1589, when Uesugi Kagekatsu of Echigo Province took over the island. The Tokugawa government later made Sado a personal fief, and assumed direct control of its mines. many famous people were exiled in Sado and brought their culture to the island.
. ondeko 鬼太鼓 Demon's Drums from Sado .
. tenryoo, tenryō 天領 Tenryo Government Land "Land of Heaven" - . On Sado Island a lot of people have traditionally been engaged in various arts and crafts. 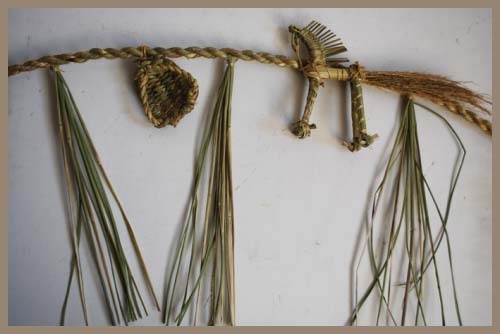 Bamboo work, straw work and textile art seem to have been commonly practiced as jobs that can be done indoors during the winter when the island is covered with snow. On Sado abundant bamboo of excellent quality has been produced. As for straw work, such daily necessaries as sandals, pot stands and brooms are made of straw. 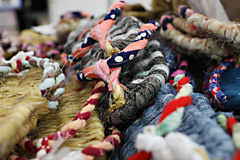 "Sakiori", saki-ori 裂き織り / 裂織 is a traditional handicraft which is made from old clothes that were torn and woven again. 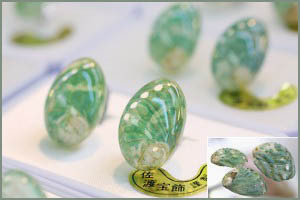 In the Edo era sakiori was made mainly in the Tohoku region where clothing was regarded as precious because of the bitterly cold climate. The tasteful sakiori woven with great care is booming quietly these days. Don't you think we should make much of the "sakiori" culture which has been developed as part of culture of "using out" everything? Sakiori was once popular for making sturdy working clothes. The material is woven from old bits of torn up cotton and the texture of old cloths and the beauty of their color combinations have recently been creating quite a boom in handmade sakiori bags and tablecloths. The arts and crafts that have been preserved on Sado Island are all handmade, and have taken root in the lives of the local ordinary people. Please try to feel the "excellent work" that can be observed in the simplicity of those handicrafts. * Sado Island has produced three national living treasures: the late Mr. Shodo Sasaki (1882-1961), in the field of casting, including lost wax casting; and the late Mr. Koheiji Miura (1933-2006) and Mr. Sekisui Ito the 5th (1941-). From the Edo era up to the present day there have been many other people from Sado that we can boast of to the world. 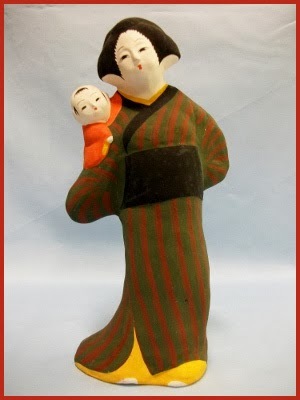 Kojiki-an's clay dolls (dolls whose material is clay) that are made in the traditional way. These dolls are derived from the reproductions of "Yahata dolls," which used to be produced in the district called "Yahata" on Sado Island. 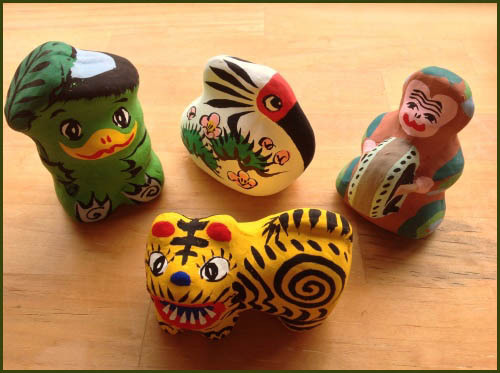 When the clay dolls were first made, there were only about five varieties, but now you can find more than sixty varieties including original dolls ― from dolls that are designed to bring good luck to unique ones that embody the natural features of Sado. Because the craftsmen always keep in mind making "tasteful things" and because dolls are hand-painted, each clay doll that is given birth to has a little different expression. Another characteristic of the Osaki village is the spirit to take in whatever they think is good including advanced thoughts, while they preserve things of old times which they think are good. 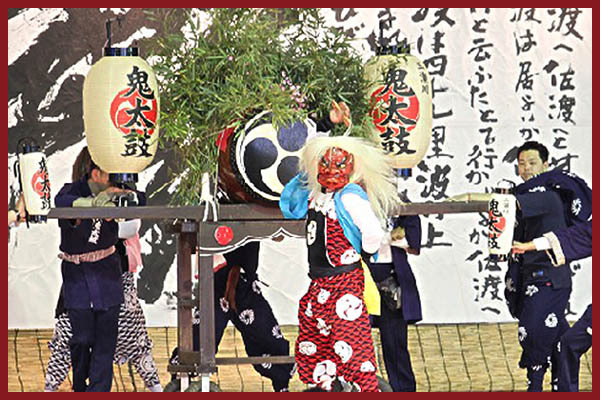 This regional characteristic has led the people to carry on such traditional performing arts as "Chobokuri" and "Bunya-ningyo" (puppet plays), "Koryu-no-ikebana" (old-style flower arranging), "Kominyo" (old folk songs), and so on. The culture which did not take root or ceased to exist in other districts has still been passed down solemnly in Osaki. The craft was introduced via the Kitamaebune trading ships. It stopped in the early Meiji period. With the famous toki トキ　/ 鴇　crested ibis as motive. A type of puppet theater where the puppet is manipulated in time to accompanied singing by a single master with his hand inside the puppet. Sekkyo puppets, which take their name from the fact that Joruri ballad dramas were preaching plays, (joruri being the old name for bunraku puppet theater) appear in plays by Chikamatsu and battle plays as well as moral tales and have been passed down through the generations as a folk entertainment. A deeply entrenched folk amusement passed on from days of old, these humorous Noroma puppets perform "Kyogen", the interlude between Sekkyo puppet plays to make spectators laugh. The show consists of an honest simpleton called Kinosuke as the main character, a rich man with a heart of gold, a coquettish female character, Ohana, and a greedy, cunning sculptor of images of Buddha. In the latter half of the 19th century (in Meiji period) , Matsunosuke Osakiya of the Hamochi district and Tokiwa Ito, a Bunya storyteller from the Sawada district, arranged the Bunya stanza, which had been stories told on stage by blind people, into "talking," at the same time making the simple movements of the puppets more detailed and precise. These puppet shows are critically acclaimed. There is an artless naivety about the puppets themselves, but the performances in the style of old Joruri ballad dramas accompanied by mournful music are exquisitely graceful.
. sekkyooshi 説経師 Buddhist preachers, Buddhist storytellers . They used the Sekkyo Ningyo 説教人形 puppets of preachers.
. 東郷文弥節 - 人形浄瑠璃 Togo Bunya-bushi ningyo joruri . Mumyoi is the name of the red soil containing ferrous oxide which comes out of the mine shafts in Sado's gold mines and mumyoi-yaki is the name of the pottery produced by mixing this soil with clay and baking the mixture at high temperatures till it is hard. 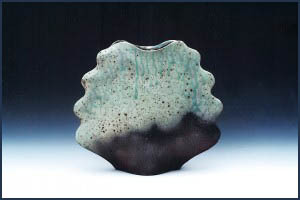 Known throughout Japan as a type of ceramic unique to Sado it has many admirers. Mumyoi-yaki wares are extremely hard and make a clear sound when tapped. Their luster increases with use. During the Meiji Period in the latter half of the 19th century Jozan Miura, Sekisui Ito and others created a movement oriented towards fine arts and crafts. At present twelve pottery workshops as well as the workshop of the living national treasure "Sekisui Ito" are to be found in the Aikawa district which is widely known as the home of Mumyoi ceramics. Mumyoi Yaki is a traditional craft of Sado Island (佐渡島) in Niigata prefecture (新潟県）. Once upon a time, Sado Island produced large quantity of gold. When we mention Sado Island, most of Japanese think of the gold mine. The Sado gold mine produced not only gold, but silver as well, and most importantly, it has natural clay with very high percentage of mineral granulew. Long time ago, the red clay collected from the gold mine was used as a medicinal concoction. It was applied to the wound to stop bleeding. In 1819, a man named Ito Kanbei (伊藤甚平) started to use the by-product of gold mine to make Raku Ware (楽焼). In 1857, the pottery in Sado Island was further developed by Ito Tomitaro (伊藤富太郎). At that time, red clay was partly used. It was mixed with other clays to get a specific character of Raku Ware. The red clay produced in Sado Island is called Mumyoi Yaki (無名異焼). A revolution in Mumyoi Yaki was made by the first generation of Miura Jozan (三浦常山). 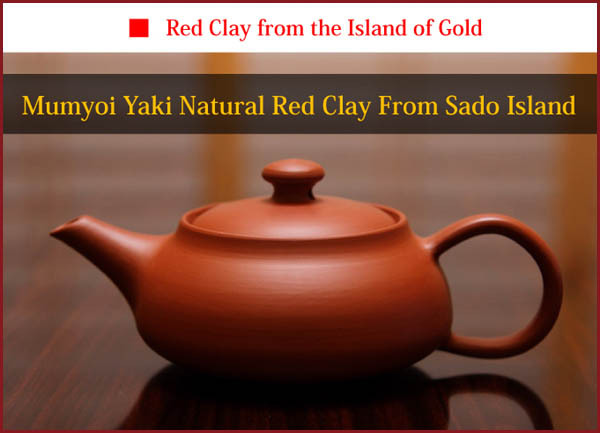 He studied the art of Yi Xing tea pot, and developed his own baking method using mumyoi red clay. There was only a handful of artists who specializes in Mumyoi Yaki, nevertheless, they have managed to achieve acclaim and recognition by obtaining two National Living Treasure (人间国宝) awards; the first award in the history of Mumyoi Yaki was given to Miura Koheiji ( 三浦小平二）, son of the 3rd generation of Miura Jozan, while the second award was given to Ito Sekisui (伊藤赤水). 6. Why Is It called Mumyoi (無名異)? Mumyoi (無名異), which means "Unknown". Japan was also importing the "Mumyoi Medicine" from China. 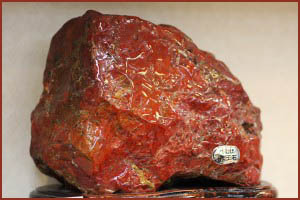 As they found Sado red clay posses the same properties, it was also named as Mumyoi. 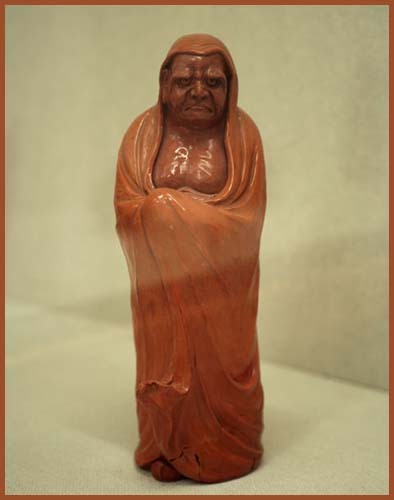 The clay ware made from this clay was called Mumyoi Yaki (無名異焼). 無名異　楽達磨 Raku Daruma by 伊藤赤水 Ito Sekisui I.
by 伊藤赤水 Ito Sekisui III. These chests were prized as among the finest examples of tansu craftsmanship. With funa-dansu (sea chests) as an experience base, tansuyas in the town of Ogi on Sado Island applied their skill to creating both merchant and clothing chests from the later Edo Period. Other than using thick iron hardware incorporating a four diamonds motif cut into the drawer handle back plates, ogi-dansu often evidence ships' cabinet joinery, atypical of other tansu not crafted on the Japan Sea coast. 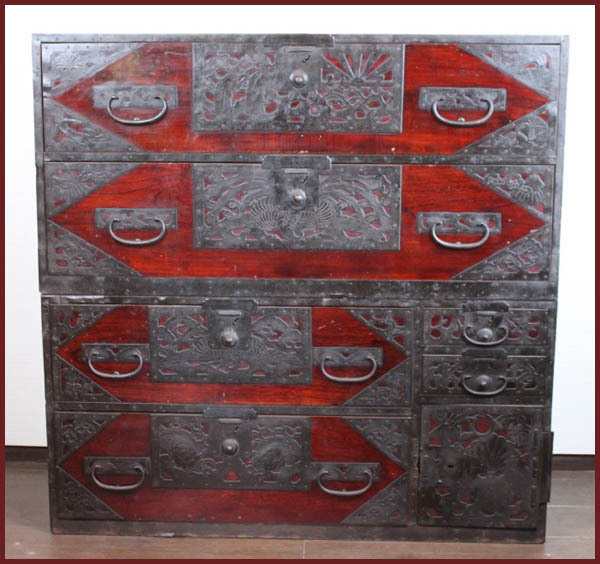 Though late as a production center, tansu makers in the town of Yahata on Sado crafted Kiri chests primarily for the trousseau clothing of merchant families, with unique hardware from the early 20th century. In Shimebari, a village which used to belong to ex-Hamochi Town 旧羽茂町, the traditional horse-shaped straw handicraft called Shimebariuma has been made for more than 400 years. 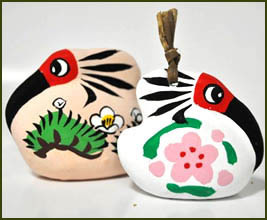 Shimebariuma have been made every year for the New Year and hung at the three entrances of the village as good-luck charms.
. takezaiku 竹細工 bamboo ware, bamboo handicraft . Because of various uses and needs, it is said that a large number of bamboo trees used to be shipped out of Sado. They say that there are even some villages where bamboo enabled the people to make a fortune. A lot of people are engaged in bamboo work, which makes the most of such bamboo. Bamboo baskets, bowls and plates, whose beauty stems from their usefulness as commodities are drawing attention as excellent handicrafts, while bamboo vases and brooches are very popular as souvenirs. Sado has long been known for its bamboo groves and there are over 20 native species of bamboo and sasa (bamboo grass) on the island. 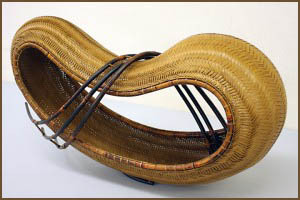 Finely cut bamboo is woven artistically to make beautiful little accessories, handcrafts, document baskets (bunko-kago) and clothes boxes (midare-kago) , while exquisite baskets and strainers for daily use are noted as superior products of folk craft. 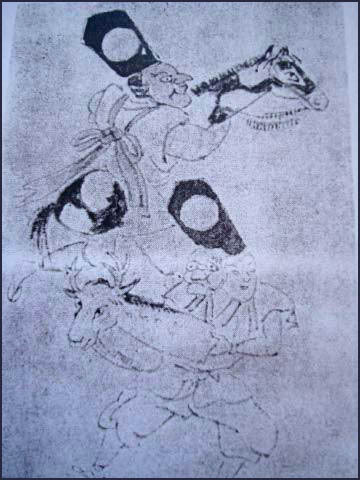 merchant-craftsmen's culture brought by merchants and sailors (Ogi district) . Normal casting involves pouring molten metal into a mold to obtain a shape identical to the space formed by the mold. In wax casting the mold is made out of wax. 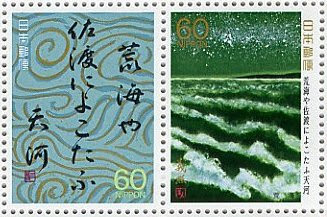 Techniques from three lineages have been handed down, mainly in Sawane, Sawada district, namely those lineages of Takusai Honma, Rando Miyata and Hangoro Shindo. 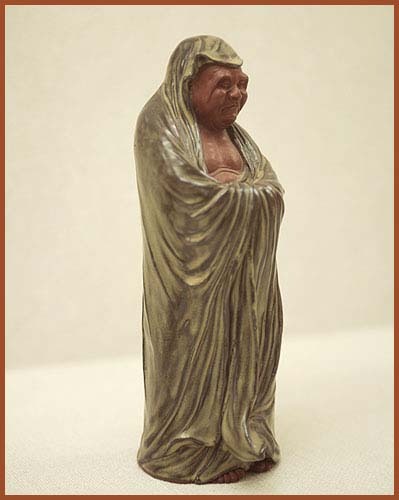 Of these, Shodo Sasaki of the Rando lineage was recognized in 1960 as a "possessor of the technique of the important intangible cultural asset of wax casting" (living national treasure) . Sado's wax casting itself, a traditional art typical of Sado, was designated as one of Niigata Prefecture's intangible cultural assets of industrial art in 1978.
. Sado Densetsu 佐渡伝説 legends about Sado Island . araumi ya Sado ni yokotau amanogawa .
. tsuburosashi つぶろさし Tsuburo fertility dance .
. dekumawashi 木偶廻し（でくまわし）"wooden doll performance" .
. Sakiori 裂き織り/ 裂織 weaving with old cloth stripes .